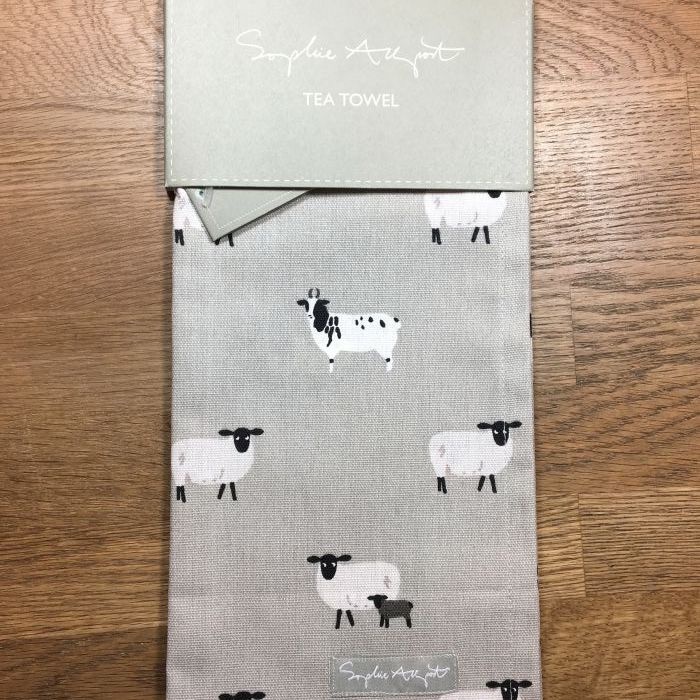 Grey tea towel covered with illustrations of woolly sheep. There is a handy 'loop' on the top left corner of the tea towel so you can hang it up in your kitchen. Size: 45cm x 65cm. Machine washable.